Hello! 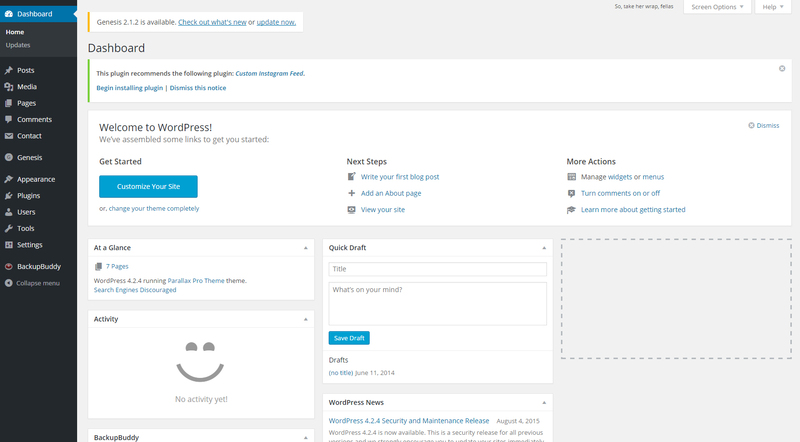 Here is a quick shot of what the WordPress Dashboard looks like. 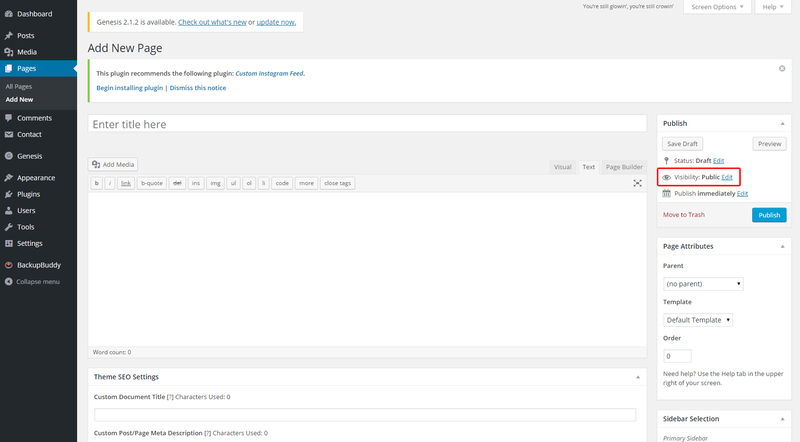 Click on Pages in left hand dashboard. Click “Add New” located at the top. Fill in the Title of your Page. 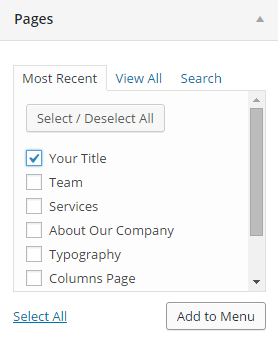 The permalink, identified below, will default to the page title you filled in. If there are more than one page named the same, the permalink will default to “yourtitle-2”. Click on the “Text” or “Page Builder” tab. Simply lets you add text to your page. 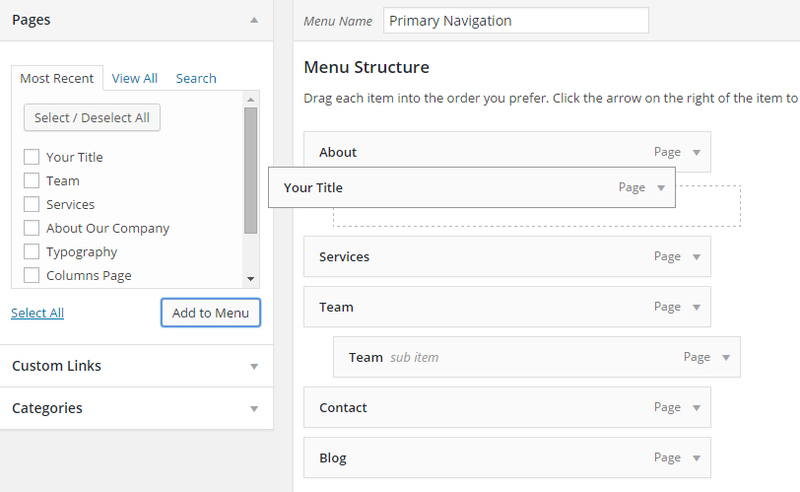 Allows you to organize your page with rows and columns. 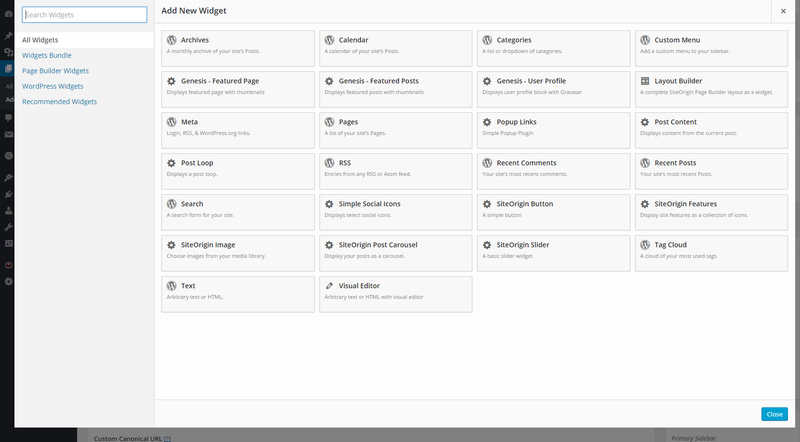 Once added, click on that row and click “+ Add Widget”. Once click, click the Visual Editor box and select “Edit”. From here you can enter your title of the box, text and add images. If you wish you add images, audio and video to your page, click this option and select the media you wish to add. You can simply drag and drop your media from your desktop as well. You get three options when creating a page, Let’s look at all three. 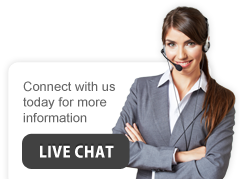 Public simply means that this page is created and open for anyone to see on your website. Private pages can only be seen by the Administrator when signed in. You can edit this page at any time when logged in and will never be displayed to the public. The parent is which this page will go under. If you have a sub gallery to a gallery tab, Click gallery will result in “yourdomain.com/gallery/your-new-page” Your New page will of course be your Permalink. **Please note, to have a Parent, you must create that page as well. You can view your page at any time by clicking “View Page” at the very top. Please be sure to click the “Update” button before doing so. To remove a page click on “Pages” on left hand side. Hover over the page you wish to remove. You will then see a an option in red labelled “Trash”. Click this to remove it. 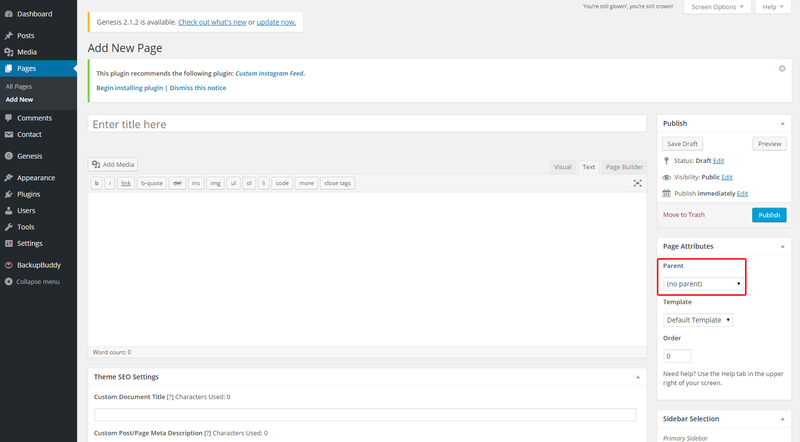 When creating and removing pages, you will still have to add them to your navigation bar. On the left hand side you will then see a box labelled Pages. 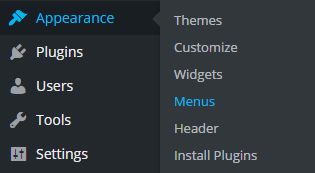 Select “View All” then click the page you would like to add to your menu and press “Add To Menu”. Your new page will show up on the right at the very bottom. From here simply drag and drop that page to the position you wish. You can even drag it a little to the right to create a drop down of another tab.